Armenian Gulls at Maagan Michael, mid March. Picture: Amir Ben Dov. Castletownbere Post Office, Castletownbere, Co. Cork, Ireland. Email: derekscott at eircom.net. The Birds of Iran published in Persian in 1975 (Scott et al. 1975) recognised only two common species of large white-headed gull in Iran, Lesser Black-backed Gull Larus fuscus and Herring Gull L. argentatus, following Vaurie (1965) and Hüe & Etchécopar (1970), two of the principal reference works in use in the Middle East at that time. These authors restricted Lesser Black-backed Gull to the two very dark mantled forms breeding in Europe, nominate fuscus and graellsii, and included all the paler mantled west Asian forms, including armenicus, cachinnans, heuglini and taimyrensis, in the Herring Gull (argentatus) complex. Thus, when the waterbird counts of the Iran Department of the Environment were expanded to include gulls in the early 1970s, all large white-headed gulls were identified as either Herring Gulls or Lesser Black-backed Gulls. Birds with pale mantles (cachinnans, armenicus and taimyrensis) were listed under the name ‘Herring Gull’, and birds with very dark, almost black mantles (fuscus) were confidently assigned to ‘Lesser Black-backed Gull’, but intermediate birds with dark grey mantles (comparable to the grey of graellsii) were problematical. These birds, now assumed to be heuglini, were often assigned to ‘Lesser Black-backed Gull’ and account for the relatively high counts of this species in Iran in the 1970s. It was clear, however, that the nominate form of the Lesser Black-backed Gull, with its almost black mantle, was a very scarce bird in Iran. In the Persian edition of A Guide to the Fauna of Iran, Firouz (2000) followed Porter et al. (1996) in recognising Armenian Gull L. armenicus and Yellow-egged Gull L. cachinnans as separate species and including heuglini and the weakly defined taimyrensis in Lesser Black-backed Gull L. fuscus. However, in his Field Guide to the Birds of Iran published in Persian in 2001, Mansoori (2001) continued to use the name Herring Gull L. argentatus for the pale-backed forms armenicus and cachinnans, although he followed Porter et al. (1996) in including heuglini and taimyrensis within L. fuscus. In the revised edition of Firouz’s book published in English in 2005 (Firouz 2005), separate treatment was given to the dark-mantled form heuglini to give four common species of large white-headed gull in Iran: Lesser Black-backed Gull L. fuscus, Armenian Gull L. armenicus, Yellow-legged Gull L. cachinnans, and Heuglin’s (or Siberian) Gull L. heuglini. This was the treatment that was adopted by Scott & Adhami (2006) in their recent checklist of the birds of Iran. In this treatment, Lesser Black-backed Gull is confined to nominate fuscus from the Baltic and Scandinavia (often known as Baltic Gull), Yellow-legged Gull (or Caspian Gull) includes nominate cachinnans and barabensis, and Heuglin’s Gull (or Siberian Gull) includes nominate heuglini and taimyrensis. Given the difficulty in separating barabensis from cachinnans and taimyrensis from heuglini in the field, this would seem to be the most useful treatment of the large white-headed gulls in Iran at the present time. However, it would be more appropriate to use the name Caspian Gull for L. cachinnans, as many modern authors use the name Yellow-legged Gull for the michahellis/atlantis group (which is very unlikely to occur in Iran). The name ‘Pontic Gull’ has recently been used for L. cachinnans, but this name is best used for the weakly defined form ‘ponticus’, which is confined as a breeding species to the Black Sea. Rudenko (2006) has recently reviewed the ringing recoveries of Pontic Gulls ringed in the Crimea and has shown that the great majority of adults and most juveniles remain in the Black Sea throughout the year. Most of those birds that do migrate move southwest to the eastern Mediterranean or northwest towards the North Sea. There have been only two recoveries of Crimean Pontic Gulls in the Caspian region, and these were in Astrakhan (Rudenko 2006). Thus it seems unlikely that Pontic Gulls occur with any regularity in Iran. The only large white-headed gulls that are known to breed in Iran are those breeding on islands in Lake Urumiyeh in Azerbaijan. These are now known to be Armenian Gulls L. armenicus  a form that was only recognised as a full species in the 1980s (Grant 1987) and which is confined as a breeding species to a small number of lakes in Armenia, Georgia, eastern Turkey and northwestern Iran. The total breeding population at Lake Urumiyeh was estimated at 4,0005,000 pairs in the early 1970s (Scott 1995). Most of these birds vacate the breeding grounds in autumn and are thought to winter mainly in the east Mediterranean and perhaps northern Red Sea, with a few birds also reaching the Persian Gulf (Snow & Perrins 1998). A bird ringed as a chick at the Lake Urumiyeh colony was recovered in winter in Mesopotamia, Iraq (Butti 1978). There can be little doubt that most of the gulls wintering in the south Caspian region are nominate cachinnans (Caspian Gull). By the end of 1975 there had been at least 33 recoveries in Iran of ‘Herring Gulls’ that had been ringed abroad (Argyle 1975, 1976). All had been ringed at breeding colonies of nominate cachinnans: 30 at colonies on the Caspian coast in the Republic of Azerbaijan and three at Tengiz Lake in Kazakhstan. Thirty-one birds were recovered in Mazandaran in the southeast Caspian and the other two in Tehran Province and central Khorasan, respectively. Raffael Aye (pers. comm.) found only nominate cachinnans in the southeast Caspian in February/March 2001, and of 1,133 large whiteheaded gulls recorded in this area during the mid-winter waterbird counts in January 2004, 1,122 were thought to be nominate cachinnans and only 11 were heuglini (Meininger P.L. & M. Zekhuis unpubl. data). The first ornithologist to look closely at wintering gulls in southern Iran on the basis of the modern taxonomy was probably C. Richardson who looked at the large gulls on Qeshm Island in December 1999 (C. Richardson pers. comm.). He recorded 50+ Heuglin’s Gulls L. heuglini, 220+ Caspian Gulls L. cachinnans, including many of the form barabensis, and a few dark-backed birds believed to be Lesser Black-backed Gulls L. fuscus of the nominate form (Baltic Gull). Keijl et al. (2001) identified 168 Caspian Gulls, 51 Heuglin’s Gulls and two possible Armenian Gulls on the south coast of Iran in January/February 2000, and thought that these were the only large white-headed gulls present. However, Dubois (2003), who visited the Persian Gulf and Baluchestan in February/March 2001, concluded that most of the Caspian Gulls wintering on the south coast of Iran were of the form barabensis rather than nominate cachinnans. Of 180 ‘light greybacked gulls’ checked carefully, 157 were thought to be barabensis and only 23 were thought to be nominate cachinnans. Two of the latter were considered to be of the western form ‘ponticus’. In addition, Dubois found about 300 Heuglin’s Gulls including some relatively lightbacked individuals which were close to taimyrensis. Over 7,500 large white-headed gulls were identified on the south coast of Iran during the very comprehensive mid-winter waterbird counts in January 2004 (Hornman M. & H. van Diek unpubl. data, van Winden E. & B. Oosterbaan unpubl. data, Willems F. & R. Felix unpubl. data). These included 33 Armenian Gulls (mostly in Khuzestan), 4,957 Caspian Gulls (mostly in the Persian Gulf), 2,538 Heuglin’s Gulls (the commonest gull in southern Baluchestan), and only five Lesser Black-backed (Baltic) Gulls (all in Hormuzgan Province). This recent work on the south coast of Iran agrees reasonably well with the findings of Yésou & Hirschfeld (1997) in Bahrain in December 1992. These authors were able to identify about 1,300 birds to subspecies, and found about 1,000 nominate cachinnans, 166 probable barabensis, 35 heuglini, 80 ‘taimyrensis’, one possible armenicus and seven or eight nominate fuscus. To sum up, the Armenian Gull L. armenicus breeds commonly in the Urumiyeh basin in northwestern Iran and winters largely outside Iran although a few birds have been recorded along the Persian Gulf coast in winter. The Caspian Gull L. cachinnans is much the commonest large white-headed gull wintering in the south Caspian region, and also the commonest wintering gull along the south coast of Iran from Khuzestan to Hormuzgan. Ringing recoveries have shown that many of the gulls wintering in the southeast Caspian originate from breeding colonies on the west Caspian coast, while others come from Tengiz Lake in Kazakhstan. A large proportion of the Caspian Gulls wintering in the Persian Gulf apparently belong to the form barabensis which breeds in southwestern Siberia. Heuglin’s (or Siberian) Gull L. heuglini (including taimyrensis) winters commonly along the south coast of Iran from the region of Bushehr eastwards, and is the most numerous large gull in Persian Baluchestan. It occurs commonly on passage in the south Caspian region, but is very scarce in winter. The nominate race of the Lesser Black-backed Gull L. fuscus fuscus (Baltic Gull) is a very scarce passage migrant and winter visitor in the Persian Gulf, occurring mainly in the west. It is probably only a vagrant in the south Caspian region. 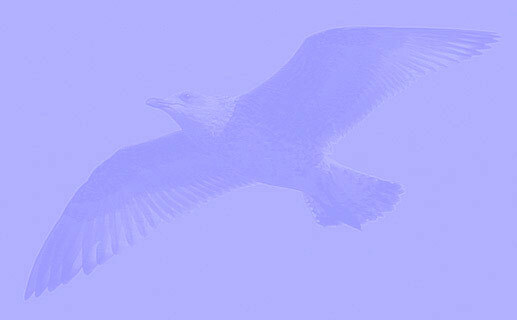 There is no reason to believe that the Herring Gull as now recognised (i.e. Larus argentatus argentatus or L. a. argenteus) has ever occurred in Iran, or that the forms michahellis (Yellow-legged Gull) of the Mediterranean or ‘ponticus’ (Pontic Gull) of the Black Sea occur with any regularity. Argyle F.B. 1975. Report on Bird-Ringing in Iran 1970 to 1974. Department of the Environment, Tehran, 78 pp. Argyle F.B. 1976. Report on Bird Ringing in Iran 1975. Department of the Environment, Tehran, 52pp. Butti S.G. 1978. Recoveries of Bird Rings from Iraq. Bulletin of Natural History Research Centre 7(2): 2728. Dubois P.J. 2003. On the Large Gulls of the Southern Coast of Iran. Sandgrouse 25(2): 144 145. Firouz E. 2000. A Guide to the Fauna of Iran. Iran University Press, Tehran, 491 pp. [In Persian]. Firouz E. 2005. The Complete Fauna of Iran. I.B. Tauris, London & New York. 322 pp. Grant P.J. 1987. Notes on Armenian Herring Gull. In: Grant P.J. & Shirihai H. (eds), Proceedings of the 4th International Identification Meeting in Eilat, 1-8 November 1986: 43. Hüe F. & Etchécopar R.-D. 1970. Les Oiseaux du Proche et du Moyen Orient. N. Boubée & Cie, Paris, 950 pp. Keijl G.O., van der Have T., Mansoori J. & Morozov V.V. 2001. Some interesting bird observations from the coast of Iran, JanuaryFebruary 2000. Sandgrouse 23(1): 4448. Mansoori J. 2001. A field guide to the birds of Iran. Zehn-aviz Publishing, Tehran, 489 pp. [In Persian]. Porter R.F., Christensen S. & Schiermacker-Hansen P. 1996. Field Guide to the Birds of the Middle East. T. & A.D. Poyser, London, 460 pp. Rudenko A.G. 2006. Migration of Pontic Gulls Larus cachinnans form ‘ponticus’ ringed in the south of Ukraine: a review of recoveries from 1929 to 2003. In: Boere G.C., Galbraith C.A. & Stroud D.A. (eds), Waterbirds Around the World: 553-559. The Stationery Office, Edinburgh, U.K.
Scott D.A. 1995. A Directory of Wetlands in the Middle East. IUCN, Gland, Switzerland and IWRB, Slimbridge, U.K., 560 pp. Scott D.A. & Adhami A. 2006. An updated checklist of the birds of Iran. Podoces 1(1/2): 116. Scott D.A., Hamadani H.M. & Mirhosseyni A.A. 1975. The Birds of Iran. Department of the Environment, Tehran, 410 pp. [In Persian]. Snow D.W. & Perrins C.M. 1998. The Birds of the Western Palearctic. Concise Edition. Volume 1: Non-Passerines. Oxford University Press, Oxford & New York, 1008 pp. Vaurie C. 1965. The birds of the Palearctic fauna. Non Passeriformes. Witherby, London, 763 pp. Yésou P. & Hirschfeld E. 1997. 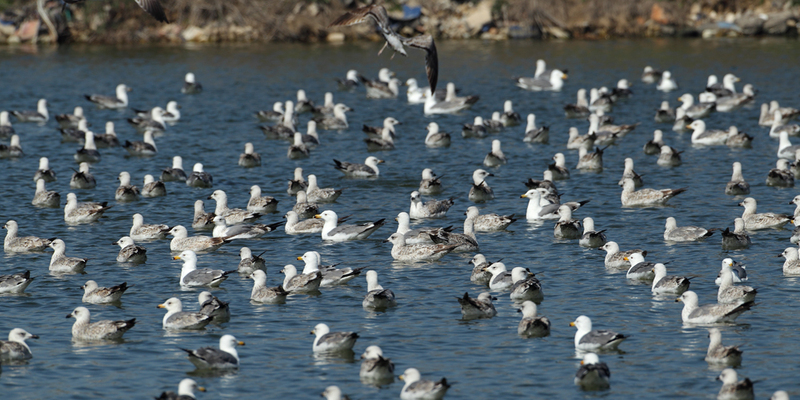 Which large gulls from the Larus fuscus-cachinnans-argentatus complex of (sub)species occur in Bahrain? Sandgrouse 19(2): 111121. Larus armenicus 2cy March 02 2010, Ashdod, Israel. Picture: Amir Ben Dov. Larus armenicus 2cy March 30 2010, Ashdod, Israel. Picture: Amir Ben Dov. Larus armenicus 2cy March 18 2011, Ramat Gan Safari, Israel. Picture: Amir Ben Dov. Larus armenicus 2cy March 18 2011, Maagan Michael, Israel. Picture: Amir Ben Dov. Larus armenicus 2cy March 18 2011, Maagan Michael, Israel. Picture: Amir Ben Dov. Bird in active moult. Larus armenicus 2cy March 12 2011, Ashdod, Israel. Picture: Amir Ben Dov. Larus armenicus 2cy March 08 2011, Ashdod, Israel. Picture: Amir Ben Dov.